DETROIT — Terminating the North American Free Trade Agreement would harm the U.S. and Canadian economies — with the auto sector taking the hardest hit — and reduce their competitiveness versus Asia and Europe, a report issued by the Bank of Montreal said on Monday. According to the report, The Day After NAFTA, a failure to renegotiate the trade agreement between the United States, Canada and Mexico would lead to a 0.2 net reduction in real U.S. gross domestic product over the next five years, and a one per cent decrease for Canada's economy. U.S. President Donald Trump has threatened to withdraw from NAFTA unless it can be reworked in favour of the United States, arguing that the pact has hollowed out U.S. manufacturing and caused a trade deficit of more than US$60 billion with Mexico. The United States, Mexico and Canada concluded a fifth round of talks to update NAFTA last week with major differences unresolved, casting doubt on whether a deal could be reached by the end of March 2018 as planned. 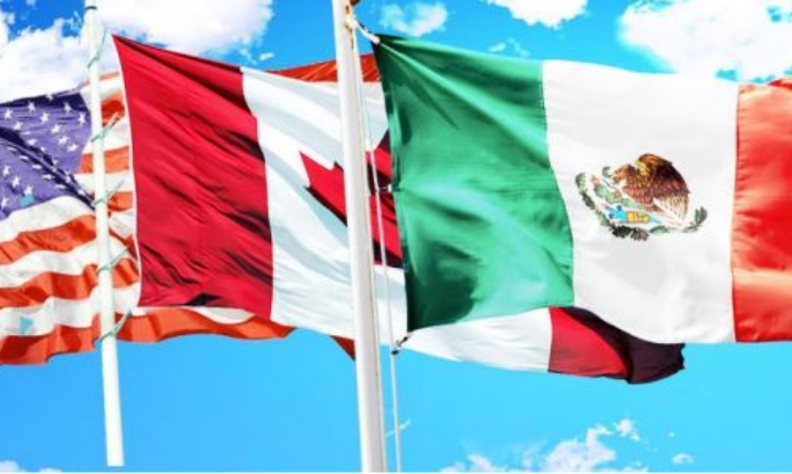 Douglas Porter, chief economist of BMO Financial Group and one of the report's authors, said that while the three North American economies would adjust to a new reality, a shift in low-wage work to Mexico enabled by NAFTA had made them collectively more competitive on the global stage. "If we splinter up NAFTA into three separate economies, that makes all of us less competitive and ultimately the whole region will end up losing a bit versus other trading areas like Asia," Porter told Reuters by telephone. "The point here is there would be a cost to the U.S. economy and it's a totally unnecessary cost. "Our view is even if the U.S. administration were to achieve that goal, it might come at the cost of an even wider deficit with Asia in particular," Porter said. If NAFTA negotiations were to fail, trade among the three countries would be subject to tariffs set by the World Trade Organization (WTO). According to the report, the U.S. industries that would be hardest hit by reverting to WTO tariffs would be automotive, where the supply chain straddles all three economies, and textiles, as Canada and Mexico account for 15 per cent of U.S. manufacturers' sales. The report did not examine a "Zombie NAFTA" scenario, where opposition from the U.S. Congress would stall Trump administration efforts to terminate NAFTA, but Porter said that would create huge uncertainty for businesses in North America. "Arguably uncertainty would be a bigger drag on all three economies," he said.